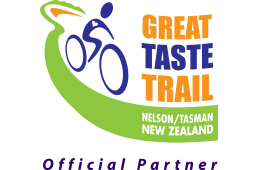 Experience the Great Taste Trail and Abel Tasman National Park in five magical days. Our combo trip, in conjunction with Wilsons Abel Tasman, ensures that everything is taken care of. 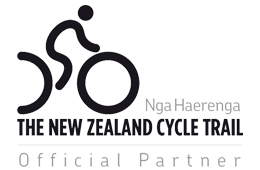 Enjoy two and a half days of glorious cycling, exploring the Great Taste Trail Coastal Route from Stoke to Kaiteriteri with The Gentle Cycling Company. Then luxuriate in the Abel Tasman Park for two and a half days, staying in the Wilson's beach front lodges. This trip begins with the cycling, and in this supported and partially guided package, we make sure that you get the best of everything the trail can offer. You have the security of a personalised service and we make the arrangements for you so you don’t miss anything along the way. Our detailed itinerary and trail maps provide clear instructions about the route, our favourite places to eat and drink and our recommended detours to special places off the trail. You have the option of vehicle support for the last leg of the trail through the Kaiteriteri Mountain Bike Park. This cycling package includes two nights accommodation and two breakfasts. After your shuttle pickup on day one, from Nelson city to The Gentle Cycling Company in Stoke, you will meet the crew and finalise your itinerary before bike fittings and departure. The ride today has no hills, so you will have ample time to visit a craft brewery, enjoy estuary views, stop for a swim and take a ferry built for bikes. 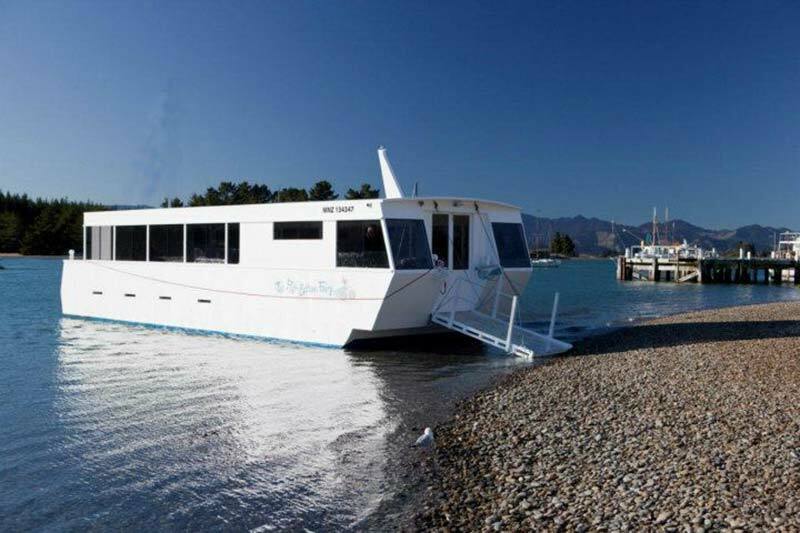 The short ferry ride links the trail at Rabbit Island to the Mapua Wharf. Take time to explore the pretty coastal village of Mapua – it is casual and summery here, with kids swimming, busy cafes, a brewery, and hot smoked fish and chips best eaten straight out of the paper. And pick up a patisserie or two in the village too, they are pretty hard to resist. Your B & B accommodation is near Mapua, we recommend one of the cafes on the wharf for dinner. Enjoy a relaxed breakfast at your B & B before departure. There are some rolling hills and spectacular views along the trail today (max elevation 100 m) and two cafes with rambling gardens. From Mapua the Great Taste Trail follows the coast to the sleepy settlement of Ruby Bay before ducking up onto an elevated route above the coast among the apple orchards. It is a beautiful gentle downhill into Tasman, home to the first quirky café, a stylish pottery and an optional detour out to the beachfront on the Kina Peninsula. The route then turns back uphill to follow a rolling trail along a ridge and down into Lower Moutere. The charming cafe here is at the original Riverside Community, the oldest alternative community in NZ. The last section of trail into Motueka follows around the estuary waterfront, past rambling gardens and grassy beach reserves. Look out for the Saltwater Baths and the old wharf. Your accommodation is at a centrally located motel, with restaurants nearby. Your personal guide will meet you at 9am to provide any support you need for the last leg of the ride through to Kaiteriteri. This section of the trail travels through the fruit-growing area of Motueka with trail-side stalls providing a range of fruit to sample. As you rejoin the coast, the trail climbs and drops beside the road for a section before ducking into the Kaiteriteri Mountain Bike Park. This last section of 3.1 km, takes the Easy Rider Trail through the bike park. The surface here is smooth and it is not technical, but some riders might want to take it very gently as there are some tight corners. The trail winds down through the bush and pine trees and you will soon get your first glimpse of your destination – the stunning golden shores of Kaiteriteri Beach. 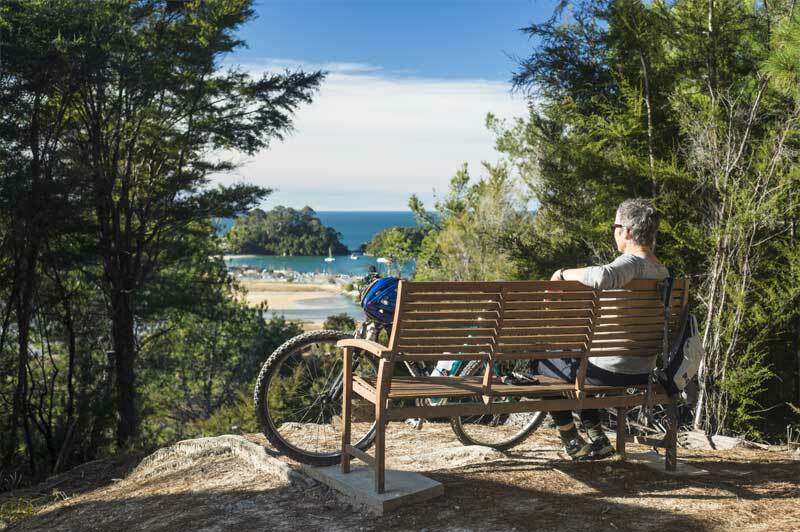 At mid-day your Gentle Cycling guide will introduce you to your Wilsons Abel Tasman guide for your transfer into the park. Your guides, lodge and boat hosts will help you plan each day in the park so you choose how active you want to be. Walk the well-formed track, weaving through lush native forest and emerging onto long, golden-sand beaches. Kayak the best sections of the granite coast or take a boat between the two Beachfront Lodges. Your package includes all transfers, accommodation in the Park, and all meals and snacks. When you email us we will get back to you as soon as we can, often with a few questions before we finalise your quote. For “All Sorted” packages, we will reserve accommodation at time of quoting and this will be held until you confirm.